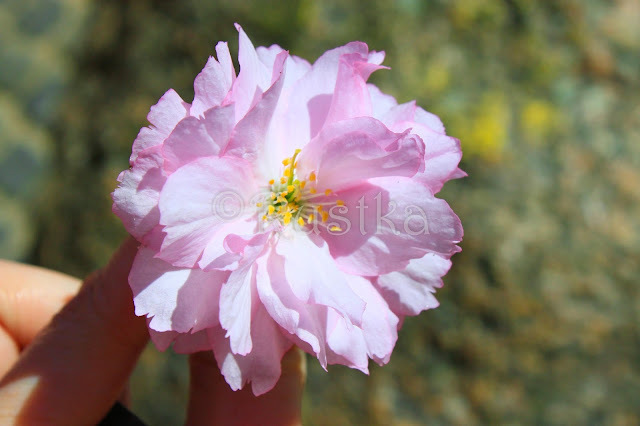 Sakura tree in Japan refers to a species tree in the genus Prunus, such as Prunus serrulata. Many different members of this genus are cultivated as ornamental plants or to produce fruits (cherry fruit, plums, apricots etc..). The cherry fruits that usually been consumed are coming from sweet cherry, P. avium (subsp. duracina, subsp. juliana) or the sour cherry, P. cerasus. Meanwhile the cherry tree that are grown for ornamental purpose, mostly do not produce fruit. 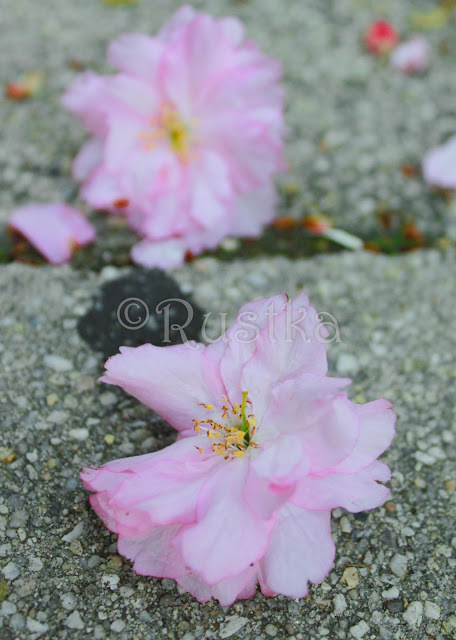 I love this kind of Cherry blossom, perhaps it is a cultivar of Prunus serrulata. It has doubled corolla which giving it a fluffy look. Pinky color make it more attractive than the white flowers species. According to wikipedia, this cultivars is having additional petals replacing the stamens.